In the fall of 1839, Capt. William G. Dana, grantee of the Nipomo Grant, began the building of the Dana Adobe. Casa de Dana was second in size, only to Mission San Luis Obispo de Tolosa and was the stopping-place of all travelers. Casa de Dana served an important function in the development of early California by supplying goods and services to local and nearby ranches and missions including carpentry, blacksmithing, candles and soap, woven goods and a store. Casa de Dana was one of four stopping places betwen San Luis Obispo and Santa Barbara: Casa de Dana, Los Alamos, Mission Santa Ynez, Refugio. 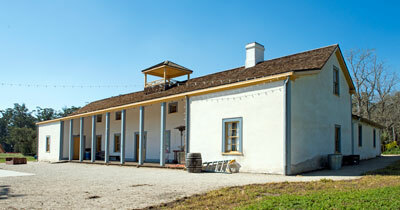 The Dana Adobe is also California Historical Landmark 1033.